It's a trivet with a wonderful twist: When you rest a hot pot on it, the heat activates the subtle, natural, therapeutic scent of the wood. Dense, durable juniper is beautiful and antibacterial. 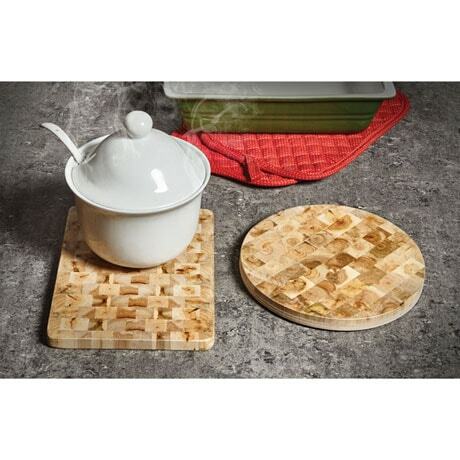 Parquet trivet is handmade in Estonia in a small, family-owned shop. To clean, rinse or wipe and dry. Specify Rectangle (8" x 5 ¾" x ½") or Round (7" diameter, ½" thick), sold separately.